Have a question not on the list? Feel free to contact us! If you live within a 100 mile radius of Tucson, we prefer to meet personally, preferably onsite, to review the scope of the project, take accurate measurements, and consider your personal design and décor influences. Several things factor into the total time frame, including current work in our production schedule, drawing and design approval, selection and availability of glass choices, as well as the fabrication complexity. Please allow a minimum of 6 to 8 weeks for large scale projects. Several factors influence cost, including the size and shape of the project, intricacy of the design, the type of glass selected, finish and installation requirements, and any applicable shipping costs. Once an agreement has been reached on the scope and cost of the project, you will be required to provide a minimum 60% advanced deposit in order to place your project in our production schedule, initiate the full scale glass art design process, and secure the materials needed for fabrication. The remaining balance will be due upon completion. 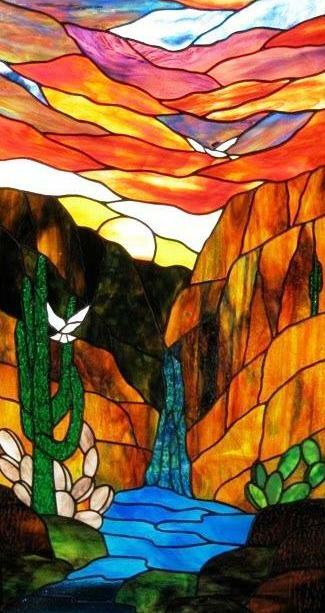 Yes, most things can be repaired and our master artisans are experts at stained glass repairs. However, it is a labor-intensive process that requires a thorough review of the damage for estimating the total cost of restoration. WHAT IS THE DIFFERENCE BETWEEN COPPER FOIL AND LEAD CAME ? Both are construction methods for creating a stained glass piece. Copper foil is typically used for more organic, intricate designs and lead came is generally used for larger, more geometric designs. The two techniques can be combined to create even more visually stunning pieces. WILL I NEED TO HAVE THE EXISTING WINDOW REMOVED? Not necessarily, depending on its condition. We like to install over your existing window, from the inside, so your current window becomes a protective layer for the glass, whenever possible. 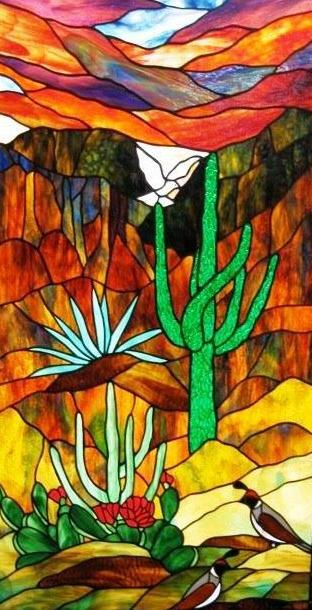 HOW DO I CLEAN MY STAINED GLASS ARTWORK? We utilize a special glass wax finishing compound to polish your piece to make it sparkle and give it a protective coating. Regular dusting with a feather duster is all you need to keep it that way.